Home eXtreme botany Dr M invades Europe: eXtreme botany’s first anniversary tour! Dr M invades Europe: eXtreme botany’s first anniversary tour! Is Europe ready for eXtreme botany? 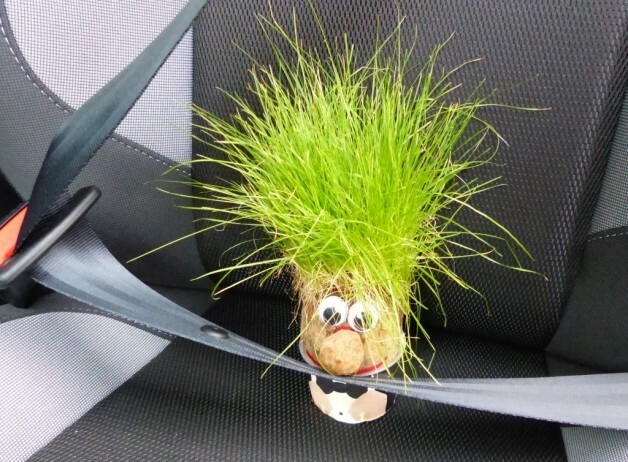 Well, ready or not, here he comes, and Dr M’s trusty botanical companion Grasshead simply can’t wait! 2014 marks the first anniversary of eXtreme botany and Dr M is celebrating by embarking on a European tour which tracks an eXtreme botanical transect from the Czech Republic, through Poland, Lithuania, Latvia, Estonia and from thence to Finland. While in Finland Dr M will be partaking in the 9th Society for Ecological Restoration European Conference in Oulu. In fact the countries of Central and Northern Europe share a long history of activity and achievement in botanical training and research. Dr M is ready to enjoy plenty of eXtreme botanical interaction and discovery with his European friends old and new during this exciting tour! Dr M’s eXtreme botany European tour facts #1: Oulu botanic gardens is one of the most northerly botanic gardens in the world. You can follow Dr M’s European Tour Diary here (wireless internet permitting!) and you can keep abreast of the headlines and highlights on Twitter @drmgoeswild! So tighten your seat belts and watch this eXtreme botanical space!